The DCI knelt down beside her and said: ‘We’ve found him and it’s not good news. ’When I gave birth to my baby boy, I was full of hopes and dreams for him. The one thing I didn’t ever imagine was burying my son’s tiny body after his murder. No parent wants to outlive their child or say goodbye – but my final hours and minutes with my beautiful James will be etched on my mind until my dying day. Getting my purse out to buy two pork chops for tea was the last thing I did before my world imploded for ever. I went into the butcher’s holding my little boy’s hand, making one final stop before heading home, and I left without James’s hand in mine. It was one of those moments where the world feels like it is turning in slow motion. I remember this voice in my head. Not James. Not my beautiful boy. This couldn’t be happening to me, I didn’t ever let him out of my sight. 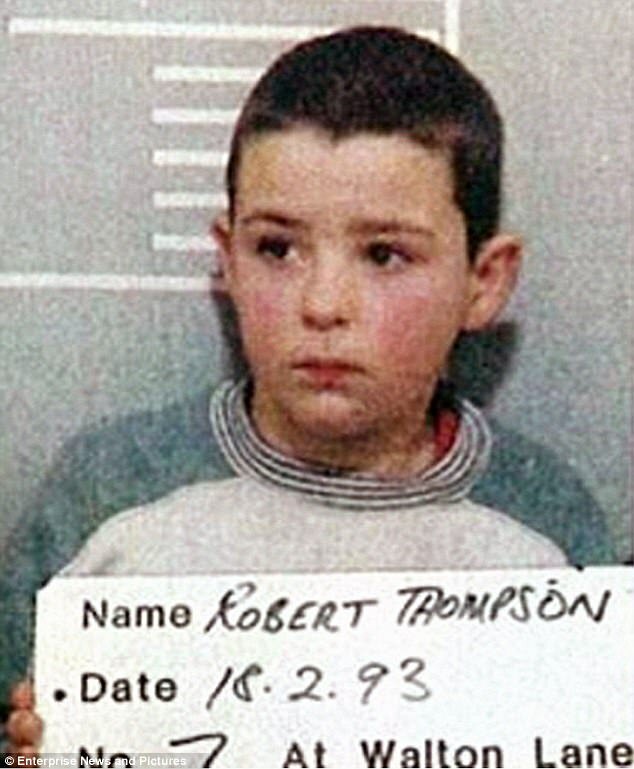 People often ask me if I blame myself for what happened that day – for taking my eyes off him for that split second; for letting go of his hand as I looked for my purse; for not seeing what the CCTV footage later showed: Jon Venables and Robert Thompson beckoning James away from my side and out of the shop at 3.39pm. The answer is: of course I do. There aren’t the words to describe how I still feel now, every day. I was the one who let go of his hand; I was the one there meant to protect him. But do you know what my biggest regret is? That I didn’t turn right instead of left – if I had taken the right turn and gone around the corner, I would have seen James being led away, just four short minutes after he had left my side, trustingly holding hands with the boys who were about to murder him.For more than 25 years I have been known as ‘Denise Bulger (later Denise Fergus), the mum of murdered James’, but before he was abducted on February 12, 1993, I was Denise Matthews from Kirkby, near Liverpool, and all I wanted was my own family. Ralph Bulger was my first serious boyfriend. I was 18 and I fell pregnant not long after we moved in together. Her face clouded over: ‘Oh no, I didn’t mean she was alive, I’m so sorry.’ That moment of hope was all consuming, a flash of pure adrenaline where I felt that it would all be fine. It was similar to how I felt when I was shown CCTV footage of James being led away by two small children rather than a menacing adult. The human brain has an amazing ability to let us hold out hope until there really isn’t a single scrap to speak of. But two years later, leaving The Strand shopping centre in Bootle, Merseyside, without my little boy’s hand in mine, well that was the worst thing of all. Then I became a mother of two children, but without either of them by my side. I knew right after Kirsty died that I needed another baby. Four months later, I was expecting my James. Ralph and I married on my birthday, September 16, 1989. 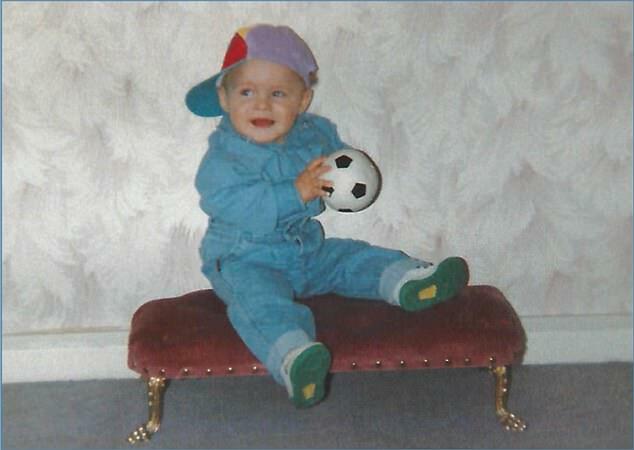 My beautiful James Patrick Bulger – named after Ralph’s late father – was born on March 16, 1990. I was overwhelmed by this beautiful, pink, perfect, screaming bundle. I held my baby boy and vowed he would never leave my sight. James had terrible colic and screamed the house down all day every day for the first four months of his life. Nothing I did eased his pain. But in those first few months we forged the most incredible bond. I remember those long nights together and wonder if, somehow in a weird way, the universe had given us the chance to cram in as much time as possible before he was taken from me. Once James got over that colic he was a different baby, so smiley, and we spent every minute together. Ralph started going out a bit with his mates and sometimes I wouldn’t see him for a few nights in a row. My bond with James grew even tighter. He was a sharer and he was trusting. You only have to look at the CCTV footage of him being led away to see that. 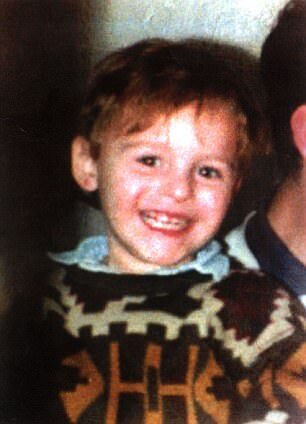 The murdered toddler who made headlines – the blurred photograph of him frozen in time, with a serious face and what looks like milk around his mouth (it was actually yogurt) – that isn’t my baby. My James was real and fizzing with life. He was never grumpy, there were no tantrums and he wasn’t naughty; he was a cheeky little ray of sunshine. It has been so important to remember the fun times as well as the sadness. Friday, February 12, 1993, a freezing cold winter’s day, started just like any other with no hint of what was to come.Ralph had agreed to help my brother Paul put together some new furniture, so I hoped he might take James along but he said no because he didn’t want James to be around the heavy wardrobe doors and all the dangerous bits. It made sense so I decided to take James to my mum’s. As he shut the front door, Ralph shouted back at James, ‘Ta-ra’ – that was the last time Ralph ever saw his son and the final time we were a family of three. Nicola, Paul’s fiancee, asked me if I wanted to go with her to The Strand shopping centre. We didn’t know where to start with James’s funeral. I should have been pushing him on the swings, not picking out a casket for his body. A body that was so tiny that in the end we had to have one specially made. I did ask if I could see him one last time but I was advised by the police not to. I picked his outfit – the corduroy suit he wore on his last Christmas Day. I finished it off with a cream roll-neck and some white socks. I decided not to put shoes on him, I’m not sure why. They packed the suit neatly into a bag along with his favourite teddy, a toy motorbike and a torch – he always took his torch to bed so that he could see in the dark and not be scared, so it was really important he had that with him in his coffin. Ralph and I cried until I didn’t think there were any tears left. I just felt like I had let James down and, in all honesty, if I couldn’t have him back then all I wanted was to be curled up in that casket with him. Whenever I look back on the day that James was taken, I am haunted by so many ‘what ifs’ – what if I had taken a buggy to the shopping centre? What if I had left him at Paul’s with Ralph? What if I hadn’t gone shopping at all? Nicola confirmed this thought by telling me there wouldn’t be room for it in her small boot once all the shopping was in. So, fatally, I left it behind. I will never understand why I decided to leave it behind and it is the first of many details that I have spent years analysing. It’s now folded up in the loft with all of James’s other things that I’ve never been able to part with. The shopping centre was packed. James couldn’t believe his luck that for once he was in among the crowd. I held on to his hand but inevitably he would run a yard or so in front of me, always where I could see him. I want to make one thing clear: I absolutely did not leave my baby outside the butcher’s on his own – I would never have done that. He was with me and holding my hand as we went inside. The only time I let go of his hand was to pay for the chops I had bought, and he was standing right beside me. When I looked down, James was gone. Outside the shop doorway I had a 50:50 chance of picking the correct way and no clue at all, so I turned left frantically to start looking, another seemingly small decision that was to have the most earth-shattering consequences. I took another left turn towards the security information centre, which felt like the most logical thing to do. They immediately put it out over the Tannoy. I remember telling them to shut all the shopping centre doors in case he wandered out. That wasn’t possible. I started my own frantic search, running in and out of shops asking if they had seen a little boy. An assistant came towards me and said: ‘Don’t worry love. They have found him’, saying he was on the second floor in such and such a shop. I ran down there only to be told they didn’t have him either, and so began a wild goose chase of well-meaning people in a shopping centre full of people that didn’t seem immediately to grasp the severity of what was happening. I ran up and down that shopping centre, from top to bottom, more times than I thought would be humanly possible, but no one else seemed panicked. I felt like I was in a computer game, everything was in slow motion with people just coming at me the whole time. I just kept screaming James’s name, running around in circles and almost falling over other shoppers in my desperation. I genuinely felt like I was losing my mind. At 4.22pm, 40 minutes after James went missing, PC Mandy Waller received a message over her patrol car radio that a child had gone missing. As the police began their own search of the shopping centre, James was already on the journey towards his death. Eventually Mandy suggested that it was time to go down to Marsh Lane Police Station and that was when I really got upset – the thought of leaving the shopping centre without him was crushing. The police had to be sure neither of us was behind James’s disappearance. Three or four hours later I was allowed to see Ralph. He came barging at me, almost running at me, and I truly thought he was going to hit me, but he just pulled me into a bear hug. It must have been around midnight when we were taken back to The Strand as we had been told there was some CCTV footage the police wanted us to look at. A camera outside the butcher’s shop showed a very blurred image of a tiny boy running through the door. Another camera, timed just after 3.40pm, showed James on the upper floor apparently following two boys. 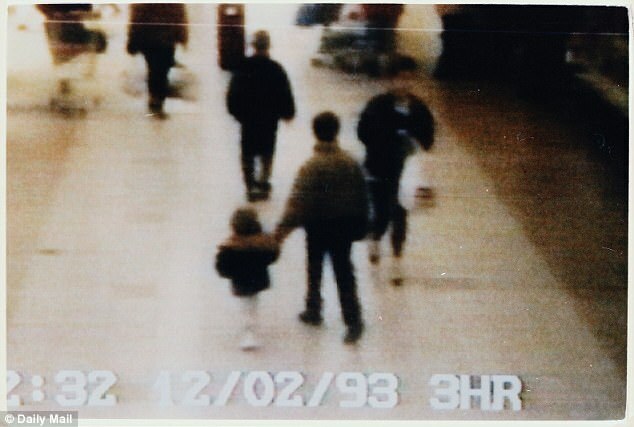 The next frame timed at 3.42pm became the most haunting of the case – that infamous grainy image of my baby holding hands tightly with his killers. 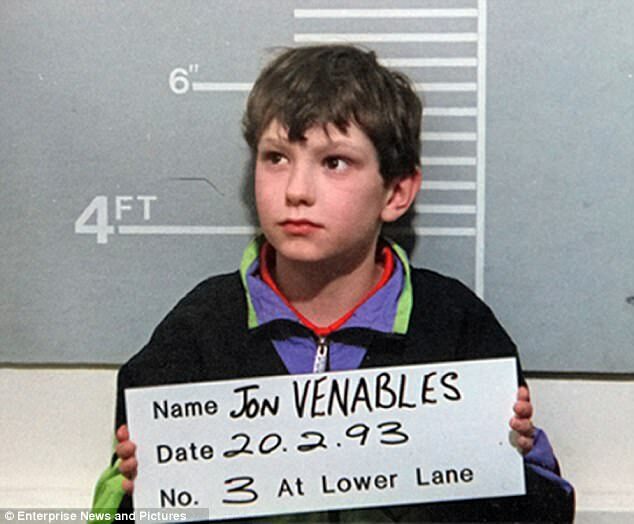 The final frame, timed at 3.43pm, showed James’s killers Jon Venables and Robert Thompson walking out of the shopping centre’s upper exit with James, which went towards the Leeds and Liverpool Canal, just four minutes after he had left my side. Two hundred and 40 seconds was all it took for them to lure James away from me and get him out of that shopping centre. Watching the CCTV, I allowed myself to feel a tiny bit of relief. James wasn’t a lost child – he had been taken. To see him trustingly clutching the hands of two young boys raised a lot of questions but also strangely reassured everyone, including the police. Immediately everyone went from fearing the worst to discussing the fact that they could be mucking around with him in a garage, feeding him Mars Bars and treating him like a kid brother. I was sure I would get James back. How could two young lads possibly want to harm my child when they were just children themselves? However, by late Saturday afternoon, when he still hadn’t been found, I was losing my mind. The police were keen for me to go home. I couldn’t handle going home without him so we went to my mum’s. I started screaming: ‘Who is this’? 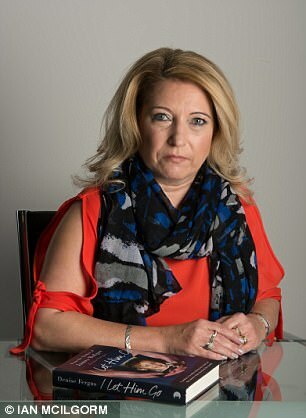 Where is my baby?’ And they wouldn’t answer; they just kept saying it over and over again – ‘We’ve got him.’ I realised it was a crank and put the phone down, baffled that someone could do something so disgusting at such a dark time. It nearly pushed me over the edge – and at that point I was clinging on by my fingertips. I was lying on the floor facing my mum’s fireplace – it was white with engraving going down the front. I was concentrating so hard on the pattern, trying to make out what it was, that I realised it had become an angel with wings. Suddenly I sat up in fright, terrified that this was a sign James had died and this was his way of saying goodbye before he left this world. Perhaps that very moment was the moment he went? At about 3pm on Sunday, with still no word, Mandy agreed to take me out in the car. We hadn’t been out very long, when she got a call on her radio to come back to the station immediately. Ralph was still out looking for our precious boy with my brother Ray and some of the rest of the family. The police decided that it was better for a family member to find him and break the news in person. So that’s how Ralph found out our baby had been murdered: sitting in a random car park on Valentine’s Day. I remember Ralph coming into the room and putting his arms around me. That’s pretty much all I can recall of the day I was told my beautiful baby, who loved anything to do with trains, had been found dead on a railway track in Walton. A group of boys had found his body on the line, nearly three miles away from The Strand shopping centre – and just 100 yards away from Walton Police Station. 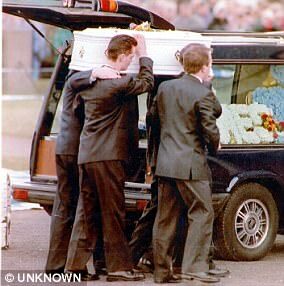 I wasn’t given any information about how they thought James had died, only that the way he had been found immediately ruled out accidental death. It is important to say I have never found out the exact nature of all that was done to James in his final hours and I never will – I know as much as my heart can take. February 12, 1993, was the day I stopped sleeping and I haven’t had a full night’s rest since. The nights were always the hardest time – they still are. A few things stand out from the first days after James was found: I recall hearing, through the open window of my mum’s washing room, the radio from an ice-cream van outside. A chirpy newsreader announced that the two-year-old boy who had gone missing had been found dead. I remember thinking: ‘His poor mum, she must be in bits.’ Then it hit me. I was that poor mum. I climbed back up the stairs to lie down and try to block it all out. On the second night I had an overwhelming need to go back to our flat and be around James’s things but none of my family thought that was a good idea. I hadn’t been left alone for a second (in fact, I didn’t spend a single night on my own until well after the trial was over). That night I waited until everyone had gone to bed. Once the lights were out I got dressed, snuck out the back and set off for home. As soon as I stepped inside it just hit me like a sledgehammer – so hard that it actually took my breath away. The place was full of James at every turn and it was like I could physically feel my heart shattering inside my chest as my eyes took in each thing of his: his tiny trainers, his coat with string mittens dangling from the sleeves, his go-kart parked by the door and ready for a trip to the park – every glance was like a bullet to my chest. I curled up on the sofa and stayed for a few hours, creeping back early in the morning – no one had even noticed I’d gone as they were asleep, and I felt like the loneliest person in the world. Ralph was with his mum and had no idea I had been missing, and the one person who would have immediately noticed my absence when he woke up in the morning was my baby. He would have climbed out of bed, his little feet scurrying across the carpet as he called my name, but now he was gone and it felt like I had no one at all. It was as if I’d started a life sentence – a veil came down and I just retreated from everything and everyone around me. l Let Him Go, by Denise Fergus, is published by Blink Publishing on January 25, £16.99. Offer price £13.59 (20 per cent discount) until January 21. Pre-order at mailshop.co.uk/books or call 0844 571 0640; p&p is free on orders over £15. A portion of the proceeds from the sale of the book will be donated to the James Bulger Memorial Trust supporting families of victims of crime.